But guess what? 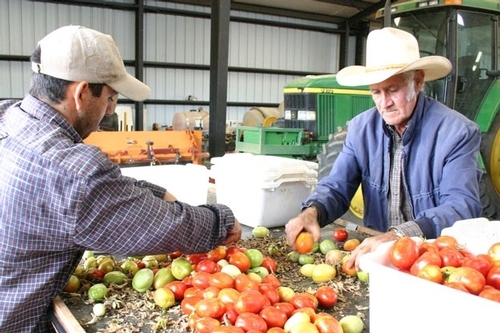 It’s not just how tomatoes are grown, harvested and stored that affect their flavor. 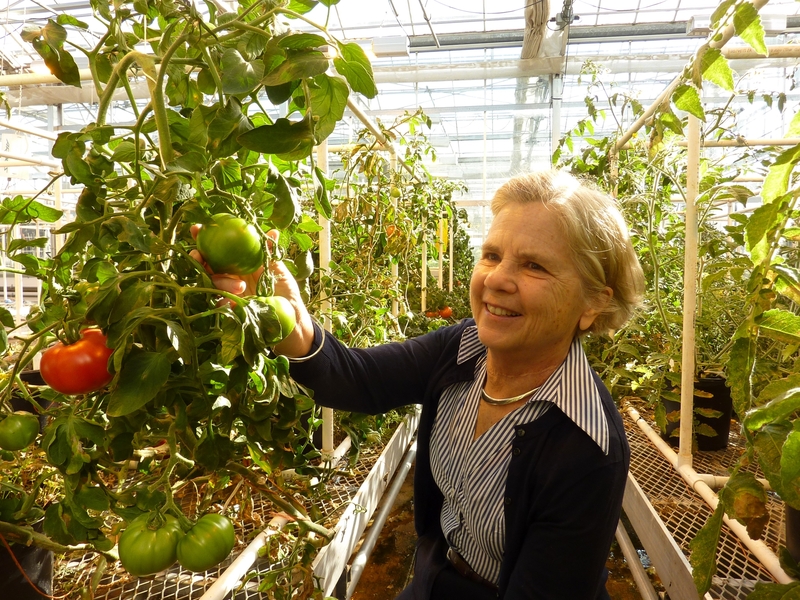 A research team led by Ann Powell, a biochemist in the UC Davis Department of Plant Sciences, has discovered a gene mutation that diminishes a tomato’s flavor even if the fruit is picked ripe and stored well. 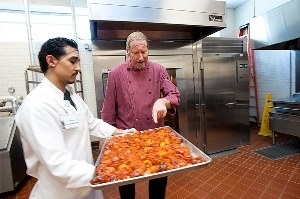 The finding, which was reported in the June 29 issue of the journal Science, identifies a gene that was unknowingly bred out of modern cultivated tomatoes and plays a vital role in producing the sugars and aromas that make heirloom tomatoes so tasty. The news is unexpected and encouraging, because now breeders have the genetic information they need to create modern varieties suited for large-scale harvest and shipping with all the flavor of more delicate heirloom varieties. “Now that we know that some of the qualities that people value in heirloom tomatoes can be made available in other types of tomatoes, farmers can have access to more varieties of tomatoes that produce well and also have desirable color and flavor traits,” Powell said. It takes awhile to breed a new tomato variety, so don’t expect to taste the results anytime soon. But Powell and her team’s discovery is a huge first step. Tomato lovers can also be grateful for C.M. Rick Tomato Genetics Resource Center at UC Davis, home to a vast collection of mutant and wild species of tomatoes which provides the genetic diversity scientists and breeders need to recapture the flavor of old. You can access the Science article here. You can learn more about the C.M. Rick Tomato Resource Center here. A wide variety of tomatoes can be grown in the garden. Tomatoes are the No. 1 garden crop in America. Everyone who has a summer garden grow tomatoes. 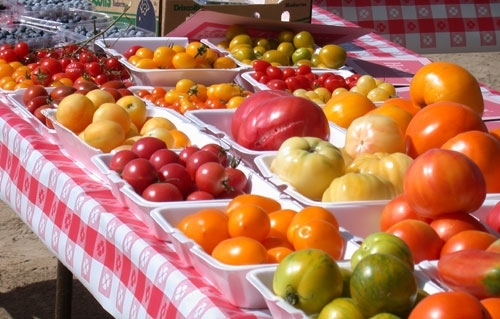 There are more blogs, forums, tweets, and garden club and café talks about tomatoes than any other garden vegetable. Tomatoes are used in so many recipes, and can be preserved so easily into so many products it just makes sense to grow them in your garden. The garden lore about growing tomatoes successfully abounds. And the really good new . . . the failure rate for tomatoes is pretty darn low. You may not get as many as you like but you will get some pretty much guaranteed even with the low yielding heirloom varieties. 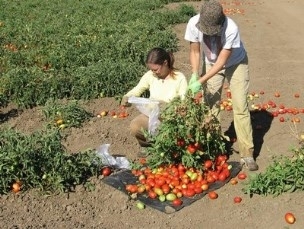 The really hard part about growing tomatoes is trying to select the variety for your location, the preferred size of your tomato fruit whether it is a small, medium or large, a paste or slicing type, red or yellow or orange or striped, or to select for plant size and growth habit, such as suitable for containers or should make the priority disease resistance? Or should you just choose whatever the nursery has in stock? The first consideration for variety selection should be climate. 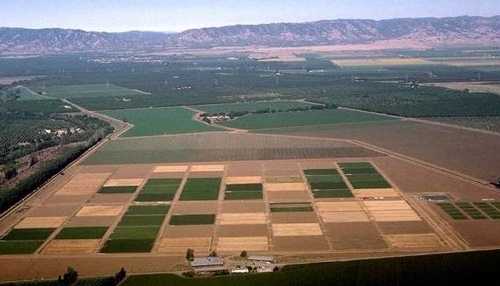 There are three basic tomato growing zones in California. Zone A is the coastal area of Santa Barbara south; it includes the coastal foothills, and mountain ranges from San Diego though Marin Counties and the foothills surrounding the Central Valley, Napa and Sonoma Valleys. These areas are typified by summer daytime temperatures are warm but below 95F. Zone B are the inland valleys and high and low deserts. This area has daytime temperatures that regularly exceed 95F. Zone C are the intermediate central and northern coastal areas; cool coastal valleys from Santa Maria north to the Oregon border and include the SF Peninsula. These areas have cool to moderate summers with evening temperatures in the 45-55F. While many varieties have been evaluated for their climatic adaptations, many have not so keep that in mind when selecting your varieties. Examples of each are in the table below. Next is to decide how big you want your plants to grow. Determinant or “bush” varieties are those that grow to a given size (about 3-5 ft) and bear most of their fruit within about 4-6 weeks. If you like to can your produce, a determinate variety would be best since you harvest most all the fruit in a narrow window. Indeterminate tomato varieties grow and set fruit all summer until they are killed by the frost. This type is good if you have the room to stake or trellis them and want a continual harvest. I like to plant some of each. The last thing to evaluate in selecting varieties is disease resistance. One disease that really has become a problem in many gardens is tomato spotted wilt virus. (see picture, left). This disease is transmitted by thrips and causes the fruit to spot and become corky. 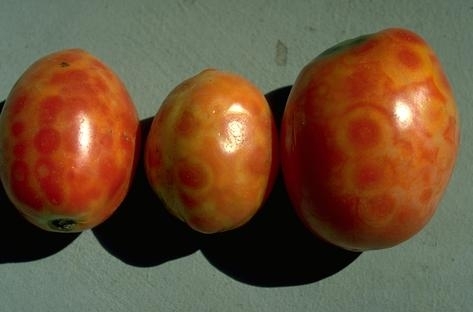 Look for resistant varieties if you have noticed this problem on your tomatoes in the past. Fletcher, BHN444 and BHN1021 are resistant varieties and good quality fruit. For more information on management of Tomato Spotted Wilt Virus, go to UCIPM Website. For more information on tomato culture and other pest problems, download our free 10-page leaflet Growing Tomatoes in the Home Garden. A wise man once said that God made weather so farmers would have something to complain about. Or maybe he was just a wise-acre. One very wet spring a few years ago I was talking with another wise man, the late UC plant pathologist Joe Ogawa. I told him that the fruit trees must be enjoying the rainy weather. Joe's response: "Oh, the trees are probably enjoying it—but the fungi are so excited they're jumping up and down!" I was working that spring with Joe and his colleague Harley English on their book, Diseases of Temperate Zone Tree Fruit and Nut Crops. Sure enough, our meetings were often interrupted by phone calls from farm advisors, port inspectors, or scientists from USDA or the California Department of Food and Agriculture wanting advice about some piece of fruit they'd found covered with soggy bruises or a fuzz that was not its own. Joe knew his stuff and was eager to help. His idea of a really interesting pear or plum was the sort of thing that would send most of us out of the produce section and over to the canned or frozen fruit aisle in a hurry. But his point about the rain that day was that it does a lot more than fill our reservoirs and nourish our plants. A late rain can also split cherries on the tree, spoil other fruit unless it gets immediate cultural or chemical treatment, and keep fields muddy enough to keep tractors out and delay planting for tomatoes and other crops. Growers rely on UC people like Joe Ogawa to help them find ways to address those problems without driving their costs (and yours) through the roof. As a food shopper there's not a whole lot you can do about it—just enjoy the weather while you can, enjoy the food you do get, and hope for better growing conditions and prices next year. Sounds like farmers aren't the only ones complaining after all! Follow these links to read more about Dr. Ogawa and the awards established in his honor by the UC Davis College of Agricultural and Environmental Sciences and the American Phytopathological Society.